CHICAGO -- Cody Martin thought his season was over a few days ago. Now, he's simply hoping for another chance to redeem himself after a disappointing surprise start for the Athletics on Wednesday night. "I was really surprised," he said of being called up. "I hadn't really done anything. (Tuesday) before my flight I kind of threw against a wall with myself. I got on a flight and came here. "I think there were some high points and some low points. It's baseball. You make a few bad pitches, they're going to hit them pretty hard." Mike Olt homered and Melky Cabrera had a two-run double as part of a six-run fourth inning to help the Chicago White Sox beat Oakland 9-4. "I just want to get out there and just get relaxed and have fun," said Olt who joined the White Sox at the beginning of the month. "It took me a couple of games to get back in the swing of things. Definitely looking forward to finishing strong." Chicago's scoring burst in the fourth came a night after the White Sox allowed 10 runs in the fourth inning during an 11-run loss. In this game, the White Sox hit three home runs to help Erik Johnson (2-0) to his second straight win. He gave up three runs and six hits over six innings. Martin (2-5) was called up from Triple-A after Jesse Chavez was placed on the 60-day disabled list with a broken rib. He allowed six runs on six hits - including three homers - in three-plus innings. He faced three batters in the fourth before being pulled. "A little rusty," A's manager Bob Melvin said. "The pitches that he threw over the plate, they ended up getting them. But I thought his curveball was really crisp. Just a little rusty in being off the corners. When he had to come over the plate, they took advantage of him." Oakland, which won 17-6 Tuesday night, pulled to 9-3 in the sixth on Billy Butler's two-run homer before Jake Smolinski added a solo shot in the ninth. Brett Lawrie also had an sacrifice fly in the second inning. The White Sox jumped out to a 2-0 lead in the first inning. After Adam Eaton lined a leadoff triple to wall in right center field, Carlos Sanchez followed with a two-run homer into the right-field bullpen off Martin. 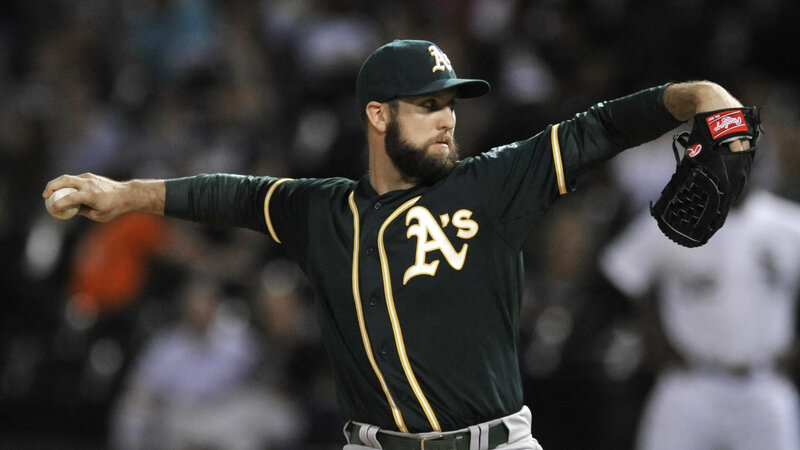 With the A's rotation in flux, Martin is hoping for another chance. "I'd love another opportunity. I'd love to get a side session in, I'd love to be on five days or six days, whatever it will be. But it's up to them and we'll see what happens the next few days."